Alesso, Dimitri Vegas & Like Mike, Afrojack, W&W and Sunnery James & Ryan Marciano are a few of the artists that will perform at Kingsland Festival. Every year on April 27th the Netherlands celebrate the birthday of their king. Kingsland Festival is the biggest festival that day, organized by 4PM Entertainment and E&A Events. The festival takes place in five different cities: Amsterdam, Den Bosch, Groningen, Twente and Rotterdam. Alesso will headline the festival in and around Amsterdam RAI and will take over the city park mainstage in Groningen. The Swedish superstar is known for his worldwide hit ‘Heroes’. In Amsterdam, Den Bosch and Rotterdam, the Belgian DJ duo Dimitri Vegas & Like Mike is one of the headlining acts on the main stage, while Afrojack will headline in Twente. In addition to the headliners, there is also plenty of room for other musical styles at Kingsland Festival. In Amsterdam, the festival expands from four stages last year, to six stages in 2019. The popular urban concept TIKTAK can be found at all locations. Just like last year, the deephouse sound is represented by Spinnin ‘Sessions, both in Amsterdam and Groningen. The concept of hardstyle legend Brennan Heart, named I Am Hardstyle, can be found in Amsterdam and Rotterdam. The underground concept ANTS will bring the colony to Kingsland for the first time in Amsterdam and Rotterdam. There is also a Kings Stage Hard in Twente, a Girls Love DJs stage in Amsterdam and an S’Oranje stage in Rotterdam. 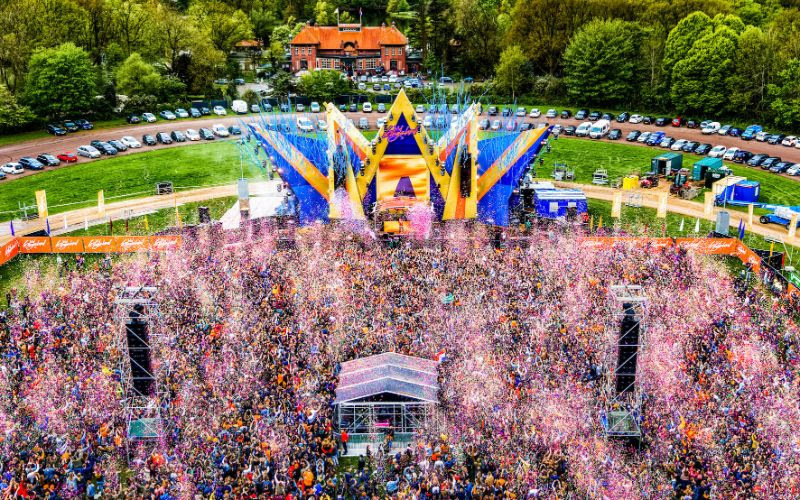 Kingsland is not only the biggest music festival during Kingsday, but also the biggest one-day music festival in the Netherlands. In 2013 the very first edition of Kingsland took place in Amsterdam, after this successful kick-off, the festival expanded to Den Bosch, Groningen and Twente. This year Rotterdam is added as the newest city. In 2018, 125,000 visitors visited the event spread over four cities. With an extra city, the organizers expect to be able to welcome even more festival-goers this year. Visitors will be treated to different musical styles, varying from EDM, eclectic, hardstyle, deephouse and techno, provided by the greatest national and international artists and DJ. In all cities there are both indoor and outdoor stages. The ticket sale for Kingsland Festival starts on February 7th – 12:00. More information and pre-registration for tickets via kingslandfestival.nl.